I saw that Cookies with Boys made Tate's Chocolate Cookies from Tate's Bake Shop. 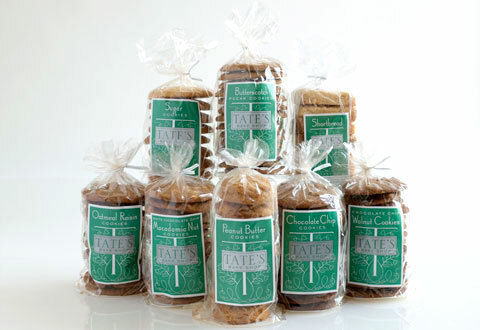 Crispy and buttery, these cookies from the famous Southampton, NY bakery capture a pretty penny at gourmet food stores. They are absolutely delicious -- cookies you crave, particularly when the gourmet food store is closed. 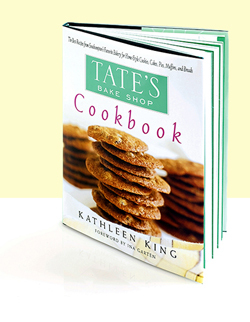 Tate's also put out an eponymous cookbook, which is worth looking at if you're a baker. It's interesting that this recipe is different in four small ways from the Nestle Tollhouse Cookie recipe: it cooks at 350 and not 375 degrees; it has 1/4 cup less flour; it includes 1 tsp. water; and the cookies cook for 12-17 minutes instead of 9-11 minutes. These small changes make a big difference in the cookie's ability to spread out and become addictingly crispy on the edges. 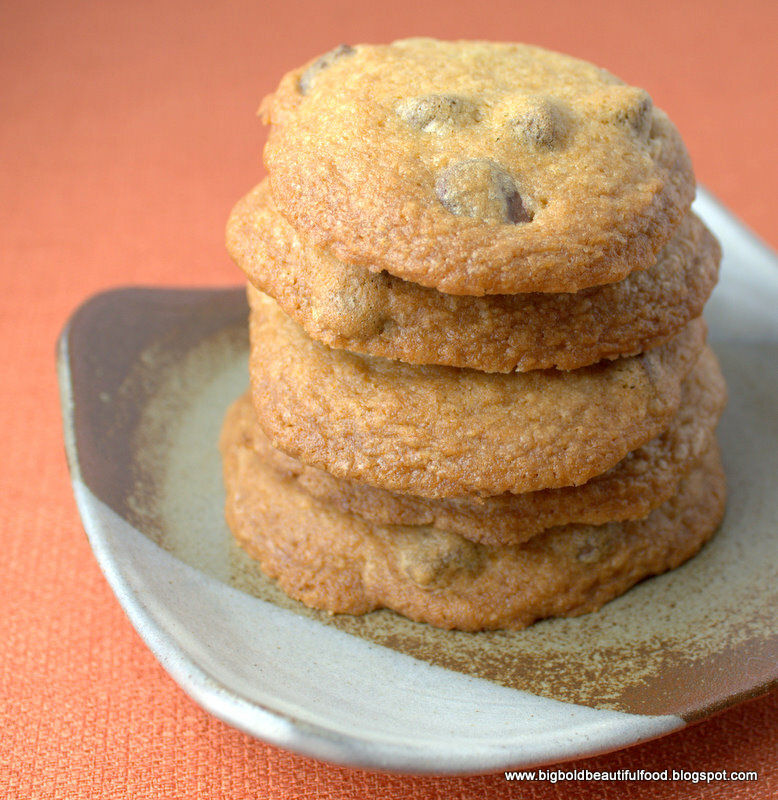 I made them -- making my husband go to the grocery store TWICE, first for chocolate chips and then back again for sugar (I mean, who runs out of sugar?) -- and they taste exactly like the store cookies. Super yummy. Grease or line 2-3 cookie sheets with parchment paper. In a large bowl, stir together flour, baking soda and salt. In another large bowl, cream the butter and sugars, then add the water and vanilla. Mix until just combined. Add eggs to the butter mixture and mix them lightly. Stir in the flour mixture. When flour is mixed in, fold in the chocolate chips. Drop 2 tablespoonfuls of the cookie dough 2-inches apart onto prepared cookie sheets. Bake for 12-17 minutes or until the edges and centers of the cookies are golden brown. Remove from oven and allow to cool on wire racks. OH! wow, not only do the cookies look amazing but I want that cookbook!!! Thank you for this recipe, who doesn't love a good chocolate chip cookie!!! I'm a huge fan of chocolate chip cookies. Yours looks yummy! The cookies look so buttery and crispy. I bet it just melts in your mouth as you bite and crisp down on it. O YUM. Certainly worth trying ! Ohh love this recipe. 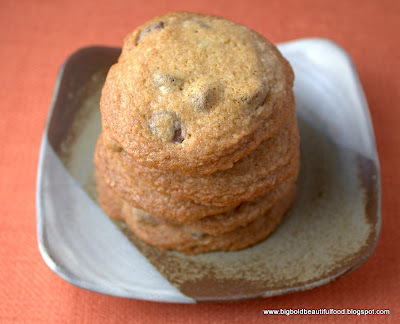 I am so craving chocolate chip cookies nows. Will You Take the Snow Day Food Challenge?